I have been extremely fortunate enough to have received quite a few fragrances these past couple of weeks, and I had spent some time on working out on how to review them. I didn't feel as though a simple blog post per fragrance would suffice, and I wanted to mix things up a little! So, I have decided to 'pit them against one another' and determine which fragrance, is best suited for you. Each fragrance has been worn for 4 days at a time, allowing me to really pick out the different notes, how powerful the sillage was, determine what type of fragrance group they best fit, and to see how long their staying power could last. A spicy fragrance, that feels fresh and is rather warm. The initial spray is luxurious, and the spices within the fragrance, make for an interesting Summer fragrance! However, I must admit, I found the longevity of this rather disappointing. I found that when sprayed upon my skin, the scent only lasted 1-2 hours. 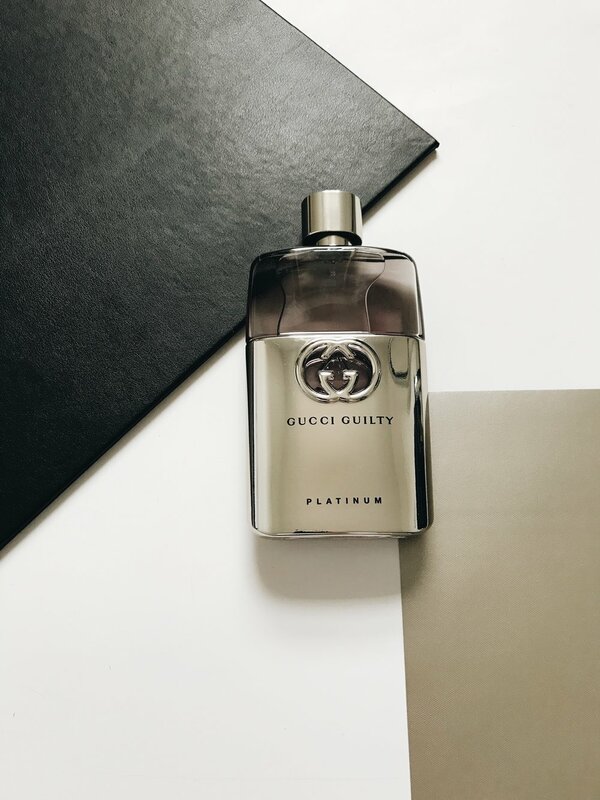 The top note of Black Pepper remained prominent throughout, with the base note, Tonka Bean, adding a creamier feel to the fragrance. The sillage of Voyager is light, which is ideal if you're after a light, fresh fragrance! If you like fragrances that are fresh, and warm, then Aramis Voyager is a fragrance you need to try out! You can purchase this fragrance here. An intense version of the iconic, 'Cool Water', the Ocean Extreme is powerful, and aquatic. Upon the first spray, this fragrance smells absolutely divine! Initially, when having read the notes, I was unsure as to how the 'Frozen Mint' note would play out, in fear it could smell similar to mouthwash? Well, how wrong was I!? The sillage of Ocean Extreme is heavy, and is instantly distinctive. I was pleasantly surprised at how long this fragrance lasted upon my skin, due to the fresh notes featured within the scent! If you like fragrances that are fresh, yet pack a heavy punch, then Davidoff Cool Water; Ocean Extreme is definitely one to check out! This fragrance is available to purchase in your local drugstore. A classic fragrance, and one that will never grow old. When first sprayed onto my skin, I am hit by the 'Musk' and 'Suede' notes, which gives a sensual feel to the fragrance. The longevity of Polo Blue stayed upon my skin for up to 6 hours, which I found impressive! The sillage is heavy, perhaps a little too heavy for the Summer daytime, and best suited for a Summer's night. If you enjoy timeless fragrances, then Ralph Lauren; Polo Blue is your best bet! You can purchase this here. Rich, luxurious and animalistic, a fragrance that is an instant winner. Admittedly, when I first sprayed this, I felt as though I had smelt this type of fragrance before. Yet, as the different notes came out to play, and the way it smelt on my skin, I came to realise that this fragrance stood out from the others. A really creamy, rich fragrance. One you could imagine wearing at a trendy bar on a warm, Summer's night. The longevity of this lasted for up to 8 hours, and the sillage is medium/heavy. If you like creamy fragrances, then Armani Code; Profumo is the one for you! You can purchase this fragrance here. In summary, if you prefer fragrances that are richer, creamier and you want to attract attention, then your best choices are between Aramis; Voyager or Armani Code; Profumo. If you want something fresh for the Summer, then I would choose the Davidoff Cool Water; Ocean Extreme or the Ralph Lauren; Polo Blue. Which is your favourite fragrance out of these four? Do you have a preference when it comes to the type of fragrance that you wear throughout Summer? Let me know your thoughts down below in the comments box! I'd been invited by COTY to attend their fragrance launch for Davidoff- Horizon! Of course I was naturally ecstatic to have been asked, this was my first event in London, and my first fragrance launch! The morning of the event had arrived, and immediately I felt excited, albeit slightly nervous! I'd been out the night before for a 'few drinks' in Soho, and if you follow me on Snapchat, I'm sure you'll have seen exactly what I got up to... No further comment. Anyway! I was unsure as to what to wear as I didn't really know what to expect. So, I decided to play it safe and I wore a black turtle neck t shirt from ASOS, (I actually wore this t shirt in my latest Street Style shoot!) Some black skinny jeans and a white/cream blazer, both from Topman. I also wore my favourite pair of Jeffery West suede boots! I will be doing a new Street Style shoot featuring this outfit, so be sure to check back for that! I'd stayed with my friend in Hampstead Heath and I needed to get over to Waterloo. I got on the tube, only to discover I was going the wrong way. You can imagine, sheer panic took over my senses as I kept checking the time and I was frantically rushing around trying to work out what line to get, Northbound or Southbound? How long will it take? What colour does that line mean? AGH! I eventually arrived (early, might I add.. Lord knows how I managed to do that!) at the National Theatre where the event took place, and I was greeted by two lovely ladies. As we walked up to 'The Deck', I was in absolute awe of the view! 'The Deck' is at the very top of The National Theatre, and overlooks the whole of Southbank and The River Thames. The sun was shining, everybody was immaculately dressed, and the location was stunning. The first thing I saw, was the Davidoff- Horizon fragrance, so I went over to smell it and fell in love with the masculinity of the scent! Top Notes: Grapefruit, Rosemary, Ginger. Middle Notes: Patchouli, Nutmeg, Cedar Wood. Base Notes: Cocoa Absolut, Leather Accord, Vetiver. I'd sprayed this on my skin around 9.45am and it was still just as strong when I smelt it at 5.45pm. The longevity of this is amazing. The first initial spray is light, and refreshing. Perfect for this time of year! The dry-down started to kick in, and that's when I felt the fragrance came to life. The scent became heavier, muskier and more intriguing. Whilst the sillage of this isn't too overpowering, it can still be smelt lingering in the air, even after you've walked away. Overall, it was a perfect morning and one I will always remember as my first event in London! (Hopefully, not my last!) Davidoff - Horizon is available to purchase from any store and comes in 40ml (£34), 75ml (£45) and 125ml (£59). You can purchase this fragrance here.